In The Legend of Zelda there are three triangles of legend that the game shows that many people covet for many reasons. Those triangles are called the Triforce. Each one represents a strong character and strengthens the user. Our maiden in distress Princess Zelda usually carries with her the Triforce of Wisdom. Although her wisdom is questionable, because she kept getting captured, she the wisest of the land. The Triforce of Power usually falls in the hands of the villain of the story, Ganon. He captures Zelda so he can have control of the Triforce of Wisdom. 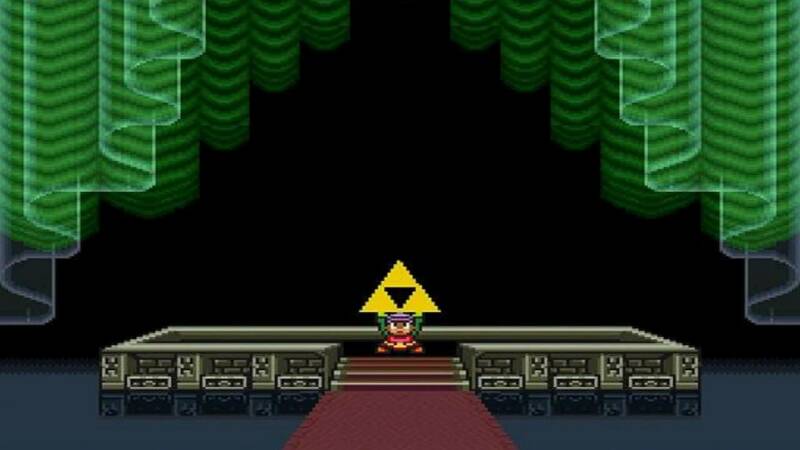 Luckily, the Triforce of Courage is in the hands of the hero of the tale Link. When their powers combine they can grant any wish. The Holy Spirit in terms of the Legend of Zelda would represent the Triforce of Wisdom. It guides us to the truth and will help us turn from a sinful and fleshly ways. If the Holy Spirit is Wisdom, then Jesus would be courage. The bible showed our King has courage in spades. He showed courage in the face of physical threats in John 11:7-10 where he decied to go back to Judea even after the Jews threatened his life. He also showed courage in death. In Luke 9:51 Jesus was still headed towards Jerusalem to head towards his fate. How many of us can walk steadfastly to your death. To not know how it will happen. To be the sacrificial lamb for the entire human race. That’s major. That takes much courage. The Triforce of Power is hard to explain. In the Legend of Zelda games the Triforce of power is always held by the villain of the tale, Ganon or Ganondorf in his human form in various games. Much like in our world filled with strife and sin it does seem that Satan has all of the power. He actually does seem to have the Triforce of Power. But do know his reign his only temporary. God is still in control and Jesus is still on the throne and he’s all powerful. Now that you know what they represent to me. I want you to know who I believe we represent. We Christians represent Link in this story. Our goal in life is to collect all of the pieces of the Triforce. We can’t live without the Wisdom from the Holy Spirit, the Courage from our Lord Jesus Christ, and the Power of God. When we get them all together in our lives there is nothing we can’t accomplish. Heavenly Father, Thank you that for giving us a Holy Spirit that grants me wisdom to know what is right is wrong, for Lord Jesus that gives me the courage and guidance to do what is right, and thank You for giving me the power to accomplish it. This prayer in Jesus name. Amen.